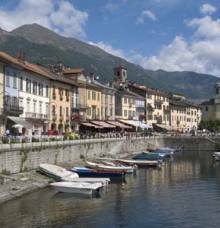 Located on the north-western shore of Lake Maggiore, Cannobio is the first Piedmont town when arriving from Switzerland. Despite its small population (just over 5,000 inhabitants), it’s characterized for its large territory, due to a number of hamlets falling under the town. Its location on the border has influenced its historic vicissitudes, while simultaneously favouring the development of thriving international tourism. Traces are still obvious of the Roman, Medieval and 19th-century periods. 16th & 17th-century buildings can still be admired on the lakeshore and along the roads leading to the trunk road. However, the village’s origins are rural and tightly connected with the Cannobina Valley and its traditions, which have allowed most of its natural and architectural heritage to be preserved. 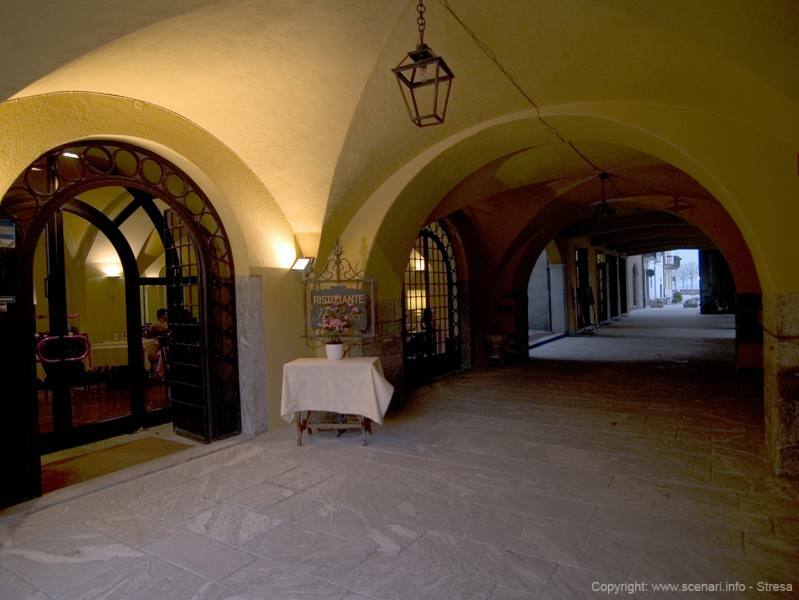 Walking down the old cobblestone roads, visitors discover 12th-century Palazzo della Regione and Torre del Comune (Town Hall Tower), 15th-century Casa dei Pironi (House of Pironi), the 16th-century sanctuary on the lake and the 18th-century Collegiate Church of San Vittore (its façade dates back to 1842). A marvellous natural “show” is truly worth seeing in Traffiume: the Orrido di Sant'Anna (Sant’Anna ravine). These are frothy falls dug out in the rocks by the waters of the Cannobino Stream. There is also a little church (1665) nearby dedicated to the saint. 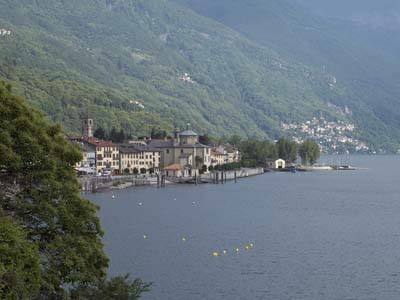 A pleasant stroll from the lakeside promenade along the road to Cannero leads to the small town of Carmine Superiore, which rises alone on a rocky spur overlooking the lake. It took almost one century (1334-1431) for work on the Church of San Gottardo to be completed. Although the two small rocky islets home to the ruins of ancient fortresses are called the Castelli di Cannero (Cannero castles), in reality they belong to the municipal territory of Cannobio. 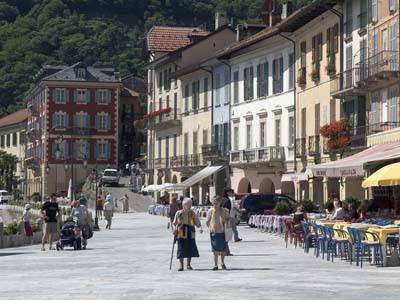 The constant, favourable presence of the wind has allowed Cannobio to become a significant centre and reference destination for those involved in sailing sports, but many other water sports are enjoyed here also due to the fact that the town has almost uninterruptedly been awarded the Blue Flag since 2002 (just as nearby Cannero). Typical events worth mentioning include Festa dei Lumineri (Festival of Lights) on 7&8 January to commemorate the Miracle of Piety. The picturesque Sunday market takes place all year round on the lakeside promenade, and is even popular for nearby Swiss buyers.